Monday, 15 April 2019, 3:36p.m. 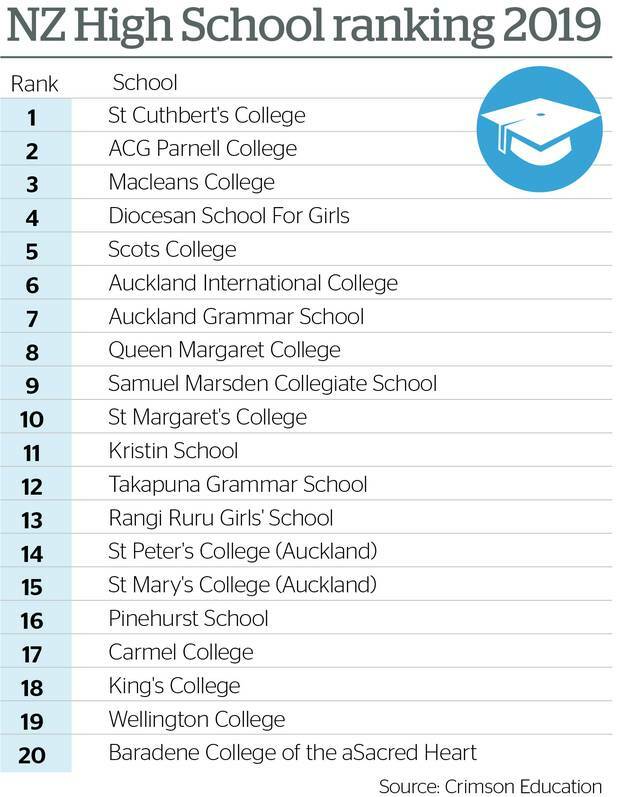 Auckland's St Cuthbert's College tops the list and four of the other top 10 schools are private girls' schools. Altogether, girls' schools score 18 of the top 50 places, or 36 per cent, although girls' schools make up only 12 per cent of all NZ schools with senior secondary classes. Boys' schools also punch well above their weight, with 11 of the top 50 (22 per cent), compared with 9 per cent of all secondary schools. The NZ Initiative reported last week that schools' NCEA pass rates averaged almost exactly the same across all decile groups after adjusting for the students' family backgrounds. "Crimson is the first education-focused organisation to develop a methodology that covers all the criteria that top universities are looking for," he said. The rankings give most weight (35 per cent) to the proportion of a school's final-year students who win NZ scholarships or Cambridge or IB awards. Proportion of "excellence" awards in NCEA, Cambridge and IB (3.5 per cent). The items on cultural and ethnic diversity reflect the value placed by top-ranked world universities on students' understanding and empathy for different cultures. St Cuthbert's, which offers both NCEA and IB, ranked only 40th on diversity, but came top in academic performance. Crimson also helped eight St Cuthbert's students win admission to top world universities this year, more than any other school except Kristin School (10). The college's 2016 head girl Antonia Young, who won a $300,000 Robertson Scholarship to study political science at Duke University in North Carolina, said St Cuth's gave her "very powerful and empowering values" such as resilience, curiosity and service. 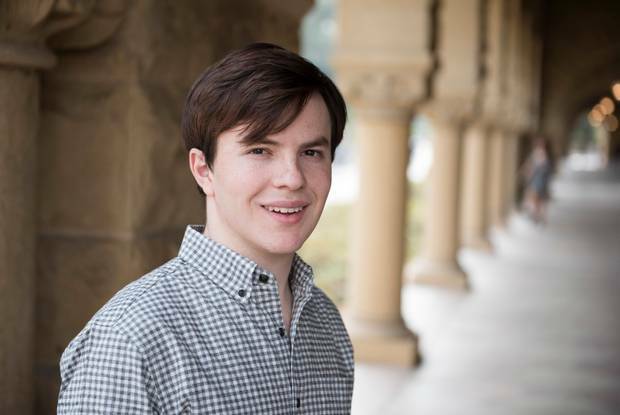 "I really appreciated the relationship I was able to build with my teachers. It was a teacher/student relationship, but I also felt there was mutual respect," she said. But a Harvard student who did not use Crimson services, Korey Te Hira, said it was possible to get there alone. He attended Kelston Boys' High School, ranked 283rd on Crimson's list, and started a Givealittle page to fund his tuition fees. In the end his brother increased his mortgage to lend Te Hira the money.